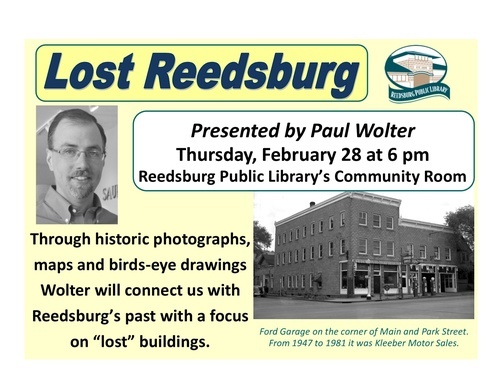 Presentation "Lost Reedsburg" by Paul Wolter at the Reedsburg Public Library, 370 Vine Street, Reedsburg. 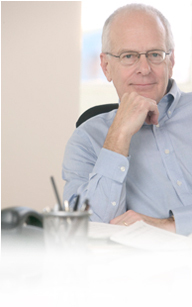 He will be sharing the history of buildings and landmarks that were a part of our community's past. 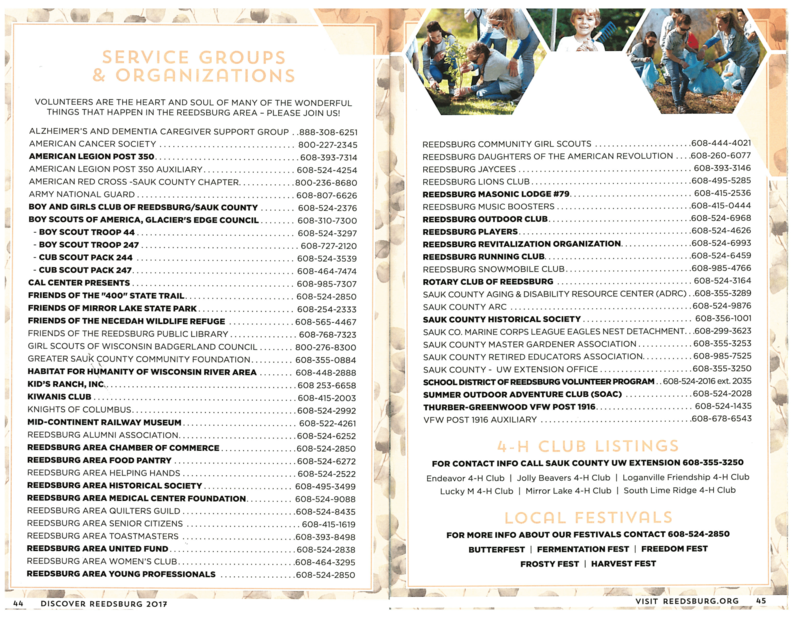 To learn more call (608) 768-7323 or email info@reedsburglibrary.org.